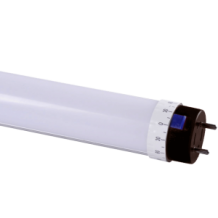 The LED Tube lamps are available in 600mm, 900mm, 1200mm and 1500mm lengths to retrofit T5, T8 and T12 products. Other special lamp sizes are also available upon request. 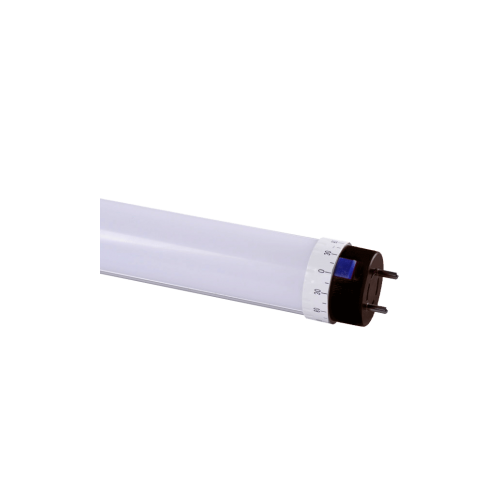 The LED lamp uses an aluminium heat sink allowing the tube to be operated in conditions of -10°C to 40°C. All lamps are supplied with rotatable end caps as standard to control the direction of light output. The LED lamps are available with a frosted or clear diffuser.